With tonight being Christmas Eve and tomorrow being the big day you’ll find festive dressing inspiration everywhere. The most popular choice is of course the ‘Ugly’ Christmas sweater and all those reindeer antler headbands. I took a more classic approach but still showed a bit of holiday spirit. Tartan or more specifically black watch plaid is about as Christmas of a fabric as there is. The texture screams casual holiday party and the colors shine perfectly under evening lighting making it the perfect choice. I paired mine with equally festive wine red trousers. It’s perfect because if you spill a little on yourself it will blend right in but let’s try not to do that this year. I went tieless because sometimes a tie is just too much. I know many of us have a love for formalwear but there is a time and a place and being the only one in a tie just makes you and everyone around you uncomfortable. 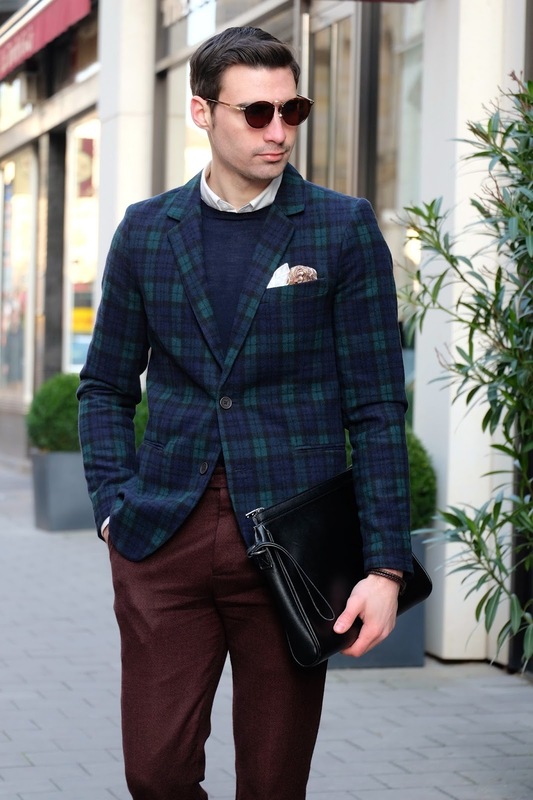 Wear a simple shirt and sweater instead and let the blazer be the star. Hope you enjoy and have a very merry Christmas Eve. Thanks for reading! 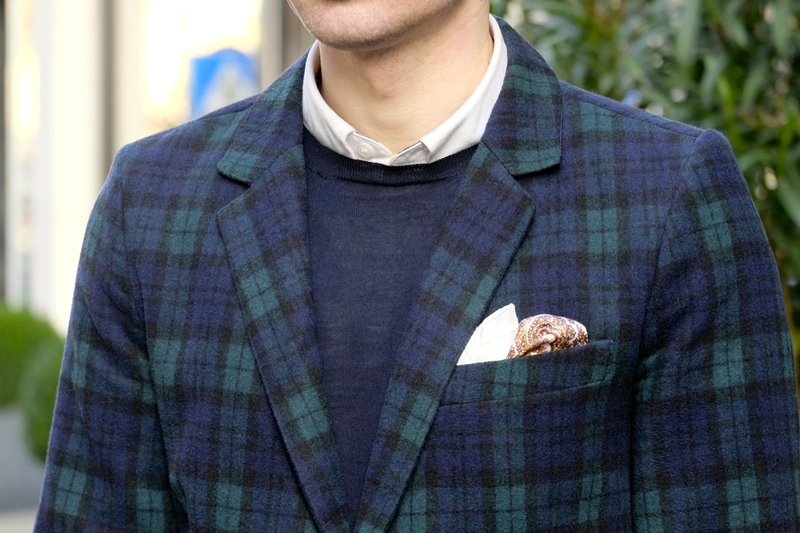 love that green blazer !